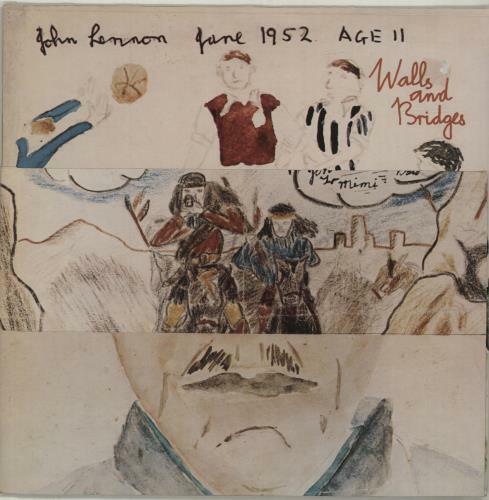 JOHN LENNON Walls & Bridges (1974 UK first issue 12-track LP with 'An Apple Record' & 'An EMI Recording' label text, complete with shaped cornered illustrated inner & a glossy eight page booklet of photographs, drawings & lyrics, housed in a wonderful fold-out picture sleeve. The delicate sleeve holds up well but with some light edge wear & the vinyl appears seldom played. An Excellent copy PCTC253).